Anthony Hetheridge, ninth baron of Wellegrave and chief superintendent for New Scotland Yard, will marry Kate Wakefield in three weeks. It's inevitable-the invitations are out, the flowers are ordered, the cake is chosen. But murder waits for no man, and no wedding. 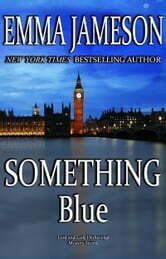 In London's prestigious West End, a disgraced CEO has been murdered at Hotel Nonpareil, an exclusive destination. No one, it seems, liked Michael Martin Hughes. Not his estranged wife, Thora, or his defiant son, Griffin. Not Hotel Nonpareil's manager, its head of security, or perhaps even the other two women in Hughes's life: his future bride, Arianna, or his secret girlfriend, Riley. Still more ominously, before Hughes died, he incurred the wrath of a potentially more unforgiving foe: Sir Duncan Godington, longtime nemesis of both CS Hetheridge and DS Deepal "Paul" Bhar. For the first time, CS Hetheridge, Kate and Bhar find themselves under tremendous pressure to uncover the killer in the shortest time frame ever. Has Scotland Yard, not to mention Downing Street, lost confidence in Hetheridge? Will the murder conviction rest on hard forensic evidence, a mountain of circumstantial details, or an impulsive theft? 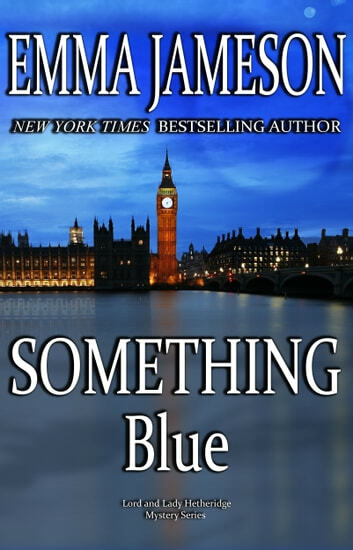 Find out by returning to the world of ICE BLUE and BLUE MURDER in SOMETHING BLUE, the third mystery featuring Lord Hetheridge, Kate Wakefield and Paul Bhar. Lovely ending. I never expected this to take place. Loved their story. Great read, do yourself a good turn, read this book! A pleasant romp of a mystery. Slightly forced egalitarian balance, but eminently readable. Nice twist at the end. Fine reading!! Excellent intriguing episodes!! Suspenseful interludes! Each page filled with entertainment!! Readers will not want to put the book down!!! Excellent series. Plenty of action to supply the thrills and enough humour to keep things interesting. Loved this story, especially the main characters! Storyline is great and takes twists and turns throughout. Looking forward to the next book!